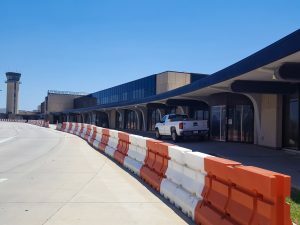 Our crews recently started the process of deconstructing the old terminal building at Dwight D. Eisenhower Airport. This project will be unique because it is a mix of deconstruction, demolition, addition and renovation. 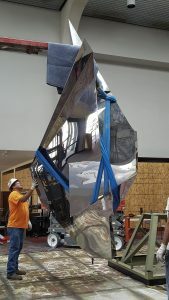 The first phase includes rerouting hydronic piping, relocating a 15 foot tall Magic Flight Sculpture and relocating the airport’s main data room to another facility. 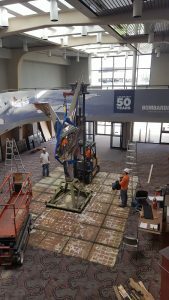 Work is underway and we will keep everyone updated on our progress!